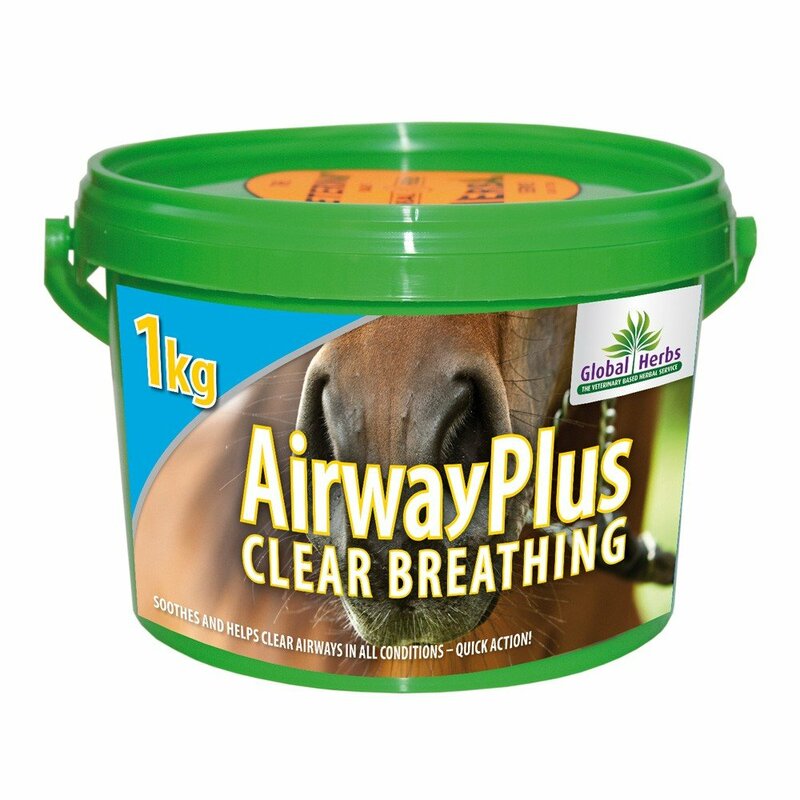 Global Herbs AirwayPlus Powder is a general purpose blend to help keep your horse's airways clear and healthy throughout the year. AirwayPlus is formulated to keep the throat and chest clear throughout the winter and provide routine support for the airways and tight chests in the summer months. AirwayPlus Powder is better at supporting normal mucus levels than Airway Plus Liquid. Global Herbs Airway Plus helps to sooth sore throats and is ideal to feed if you know that nearby horses are experiencing problems. AirwayPlus Powder is often fed alongside PolleneX in the summer and ImmuPlus in the winter.